Do Promoted Pins have you feeling confused? They do me! 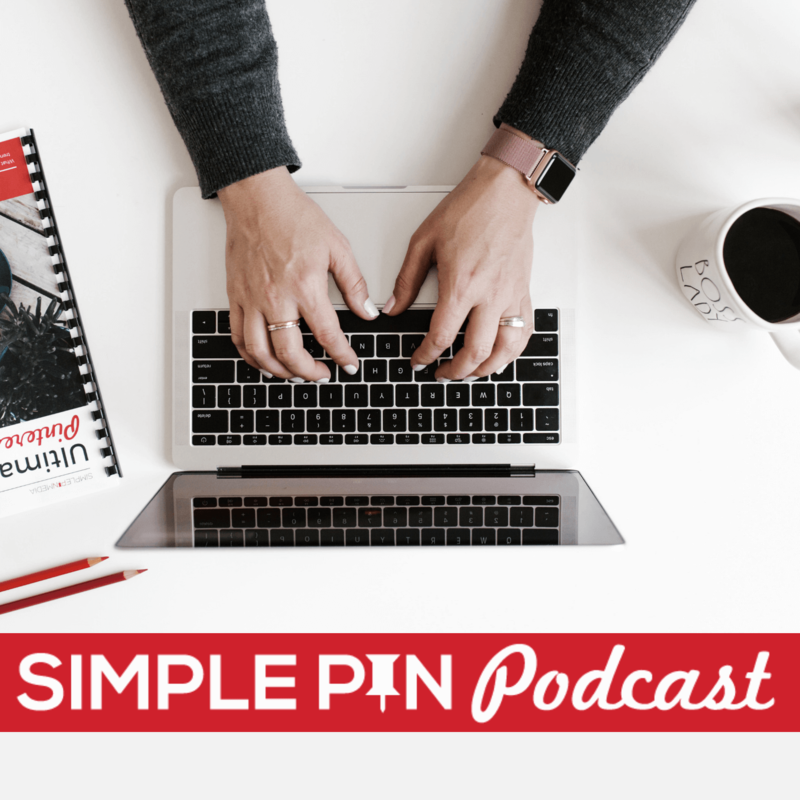 So I asked Jess Bahr, a self-proclaimed “social media nerd” to come on the show to talk all about how to maximize Promoted Pins. Jess has experience in large Promoted Pin campaigns as well as smaller campaigns. She is the director of paid social at SocialFlow, where she runs Promoted Pin campaigns for some of the world’s largest e-commerce companies. These companies often have 6 figures to invest in their Promoted campaigns. While Jess does work with some very large companies, her passion is helping the little guy. She especially enjoys helping start-ups and entrepreneurs learn how to use social media programs to get big results. One of the advantages to working with such large campaigns is that she gets to begin using any new features that Pinterest puts out months ahead of the release. This allows her to help others even more, because by the time a feature is released, she knows the ins and outs of it, and exactly how it can be helpful to her smaller clients. Pinterest is still in the infant stage; nobody knows yet what it is going to be. Jess sees Pinterest growing tremendously over the next few years, becoming the search engine that people will use for things they want to take action on. But because it has taken Pinterest a while to define themselves, people are confused about how to use it. Things like setting up a business account can sound overwhelming to people. Pinterest is one of the only ways to save things that we hope to take action on later. If you have a very targeted audience, then using Promoted Pins means you will be serving up Pins that people are actually looking for. These people are already primed, willing, and open to your content. You aren’t trying to match your content to an ad, or serving it to people who don’t care about it. When your Pin matches their search result, it’s like a perfect marriage, and they will click on it. Promoted Pins are also more likely to put your Pins in front of an audience that is new to you. Should you promote a Pin that is doing well organically? Can you use a cold Pin? Your campaign results are based on your CTR ( click through rate). So if you have a Pin that is already doing well organically, promote that one. If a Pin is doing well organically, it is much more likely to do well as a paid unit. The higher the CTR, the lower the bid to get a higher ad rank. That means that you will get better placement and better performance from a Pin with a higher CTR. For cold Pins, Pinterest will give you a bit of a boost to get it off the ground in order to determine the CTR for that Pin. Sometimes you won’t get good CTR from a cold Pin, but on occasion, the initial boost will help the CTR. Always choose a Traffic, or CPC, campaign for cold Pins. Learn more about Promoted Pins from a Pinterest Manager at Pinterest. Test, test, test! Jess recommends testing the content with different images to see which performs best. For the unsure person, she says to begin with your top organic Pin, and boost it for $10-20 for a couple of days and see if it drives traffic to your site. There is almost always an increase in traffic to the site. Choose the median bid. Promoted Pins are a type of auction, so you will always be paying 1 penny above the next lowest bid. So if Jess sees that her bid is higher than the CPC, she will start to lower her budget. Run your campaign for a minimum of 3-4 days. This is important in order to get accurate data on your Pin. If you have a Pin that is doing really well, then keep running it until you see the performance start to decrease. Exact match would be something like, “Top Blogging Resources for Moms.” These exact matches are going to generate less inventory of content, but if someone is searching for that particular phrase, they are more likely to click on the result. Pinterest will expand terms for you, so if you type in “Women’s Fashion”, you may see results in “Women’s Shoes”, or “Women’s Outfits”. The broader the keyword terms, the more likely your Pin will be served to an audience searching for the broader terms. Jess likes to use both types of keywords and keep an eye on which one performs the best. On the exact terms, there may be less chance of your Pin being served every day. But when it is served, you will likely have more people clicking on it. The exact keywords do have a higher CTR. Only use keywords that go along with the content you are Pinning. Ask yourself, “If someone clicked on my Pin through this keyword search, would it match what they are looking for or would it interrupt their experience?” Make sure your terms are relevant. Choose 20-30 keywords to begin with and keep an eye on your analytics to see which ones are doing really well. Then take those, and put them in a campaign, and continue to expand upon them. Try using 20-25 broad match terms, and 5-10 exact match ones. What about targeting for languages, devices, gender, etc.? Jess is a fan of leaving it all open, unless you really need to target something specific. Especially in the language category, because certain words can be considered slang, and Pinterest will throw that in the “non-English” category. If you choose something like “English speaker in the U.S.”, you are cutting out a lot of your potential audience. Jess’ motto is start broad, then look at your data and begin cutting out the things that aren’t performing well. What about using the Interest targeting? The problem that Jess sees with using the Interests targeting is that it is going to return less inventory with more competition. All of which means that your bid of 75 cents for a regular open campaign could go up to $1.50 or more. People who are browsing in a Category are less likely to click on your Pin than those who are following a search query result. And what about email targeting? Jess says to run that as a separate campaign, just so you can see what results you get by doing it both ways. Everyone has a different audience, so you need to see how your audience responds. You can re-target people as well. So if someone clicks on your Pin, you can re-target them by serving them another related Pin. As with everything, test, test, test! If these targeting techniques don’t perform well for you, then maybe you just need to wait until you have a larger audience to target, or more traffic. I gave myself a task in the episode. Take my best performing Pin on 4 Ways to Clean Up Your Pinterest Boards, and run three different campaigns using different targeting groups, all using the same image. Use Google analytics to set up a unique URL for these Pins in order to see how this traffic behaves once on her site. The value of Pinterest lies in what happens off of Pinterest. If you spend 3 times more to get a visitor to your site, but they buy 10 times the amount of goods, then you have come out ahead. Pinterest is going to keep evolving, so jump in and get started. Don’t be afraid. Be patient with the process. Learn as you go. As you use it and experiment with it, you will become your own best teacher as you begin to understand it more. Pinterest is going to keep evolving, so jump in and get started. Be patient with the process. The biggest value of Pinterest lies in user intent; users are on Pinterest to find content to engage with. That creates a great opportunity for people to share their content. So start sharing your content; test which audiences work for you and which ones don’t; be active; check your data. You’ve got to get your hands dirty in order to learn. My challenge to my listeners/readers this week is to do exactly what I am going to do. 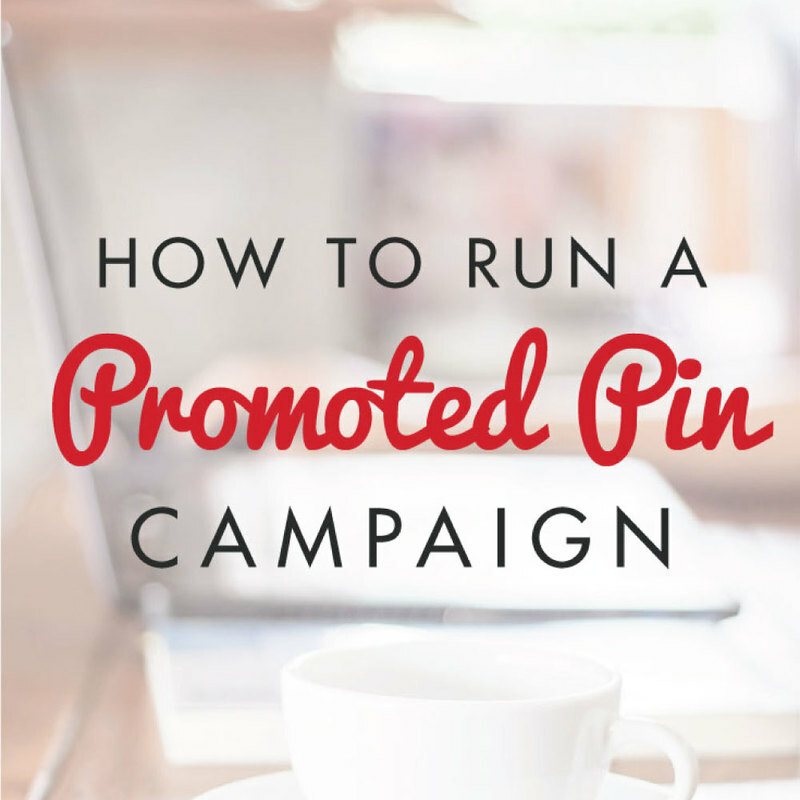 Promote a Pin, using the parameters we outlined above, and see what kind of results you get. And be sure to come back and comment below to tell me how it went! 7:30- Where is Pinterest headed?